Although the mad rush of tax season is over, it’s important to remain diligent about staying organized throughout the year. One important thing you can do is check your tax withholding, keeping in mind several factors that could affect potential refunds or taxes you may owe in 2018. In many cases, a new Form W-4 is all that is needed to make an adjustment. 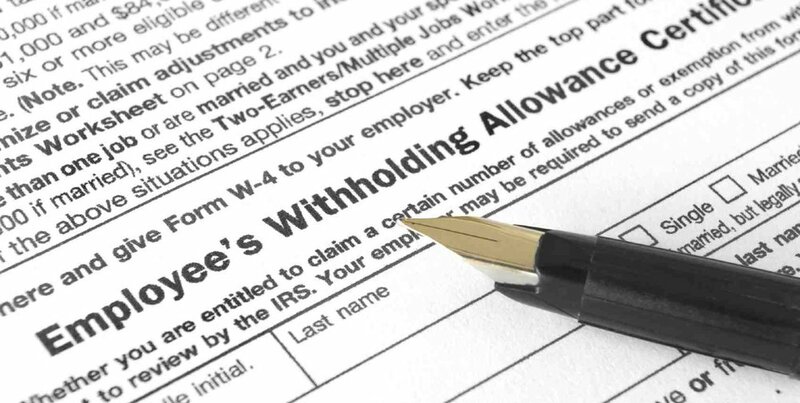 Taxpayers submit it to their employer, and the employer uses the form to figure the amount of federal income tax to be withheld from their employee’s pay. If you have any questions about your tax withholding or would like help with tax planning, please CONTACT US. Our certified tax professionals are here to help!